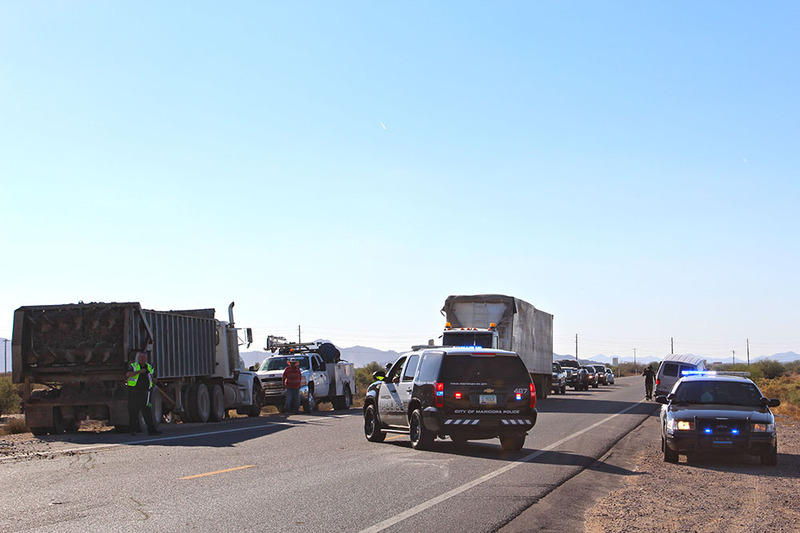 The Maricopa Police Department is investigating a possible DUI relating to an accident involving a tractor-trailer rig on State Route 238 near milepost 43 Friday afternoon. MPD Officer Jeff Brooks said the driver of a silver passenger van was driving west ahead of a tractor-trailer around 2:30 p.m. when the van apparently attempted to make a sudden U-turn into eastbound traffic. Brooks said the tractor-trailer did not have time to stop before hitting the driver-side of the turning van. 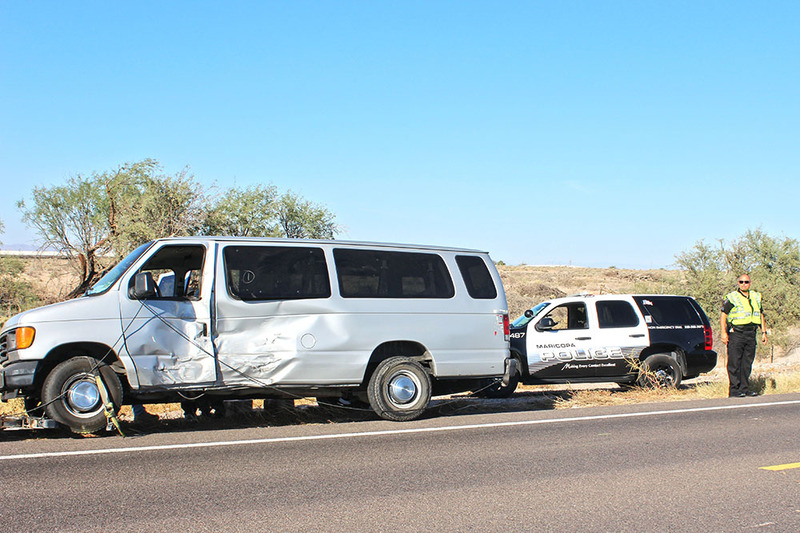 Police suspect the driver of the van of driving under the influence. MPD reported the tractor-trailer had just unloaded manure prior to the collision and was returning to a nearby dairy. Maricopa Fire/Medical Department spokesman Brad Pitassi said first responders initially reported three minor injuries, although no one was transported to the hospital. Police temporarily detoured traffic in the area between Ralston and Loma roads. 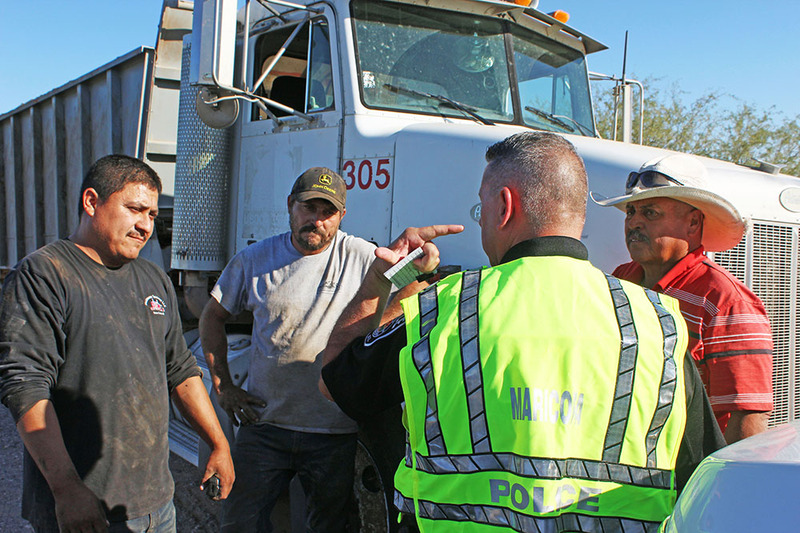 Police cleared the accident and opened the roadway at 3:38 p.m.